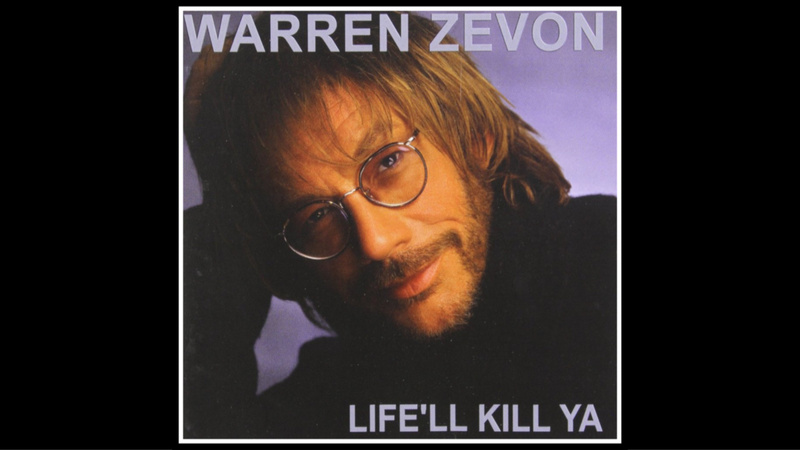 Warren Zevon came by FUV in January of 2000, just before the release of his album Life'll Kill Ya. It had been five years since his previous album, Mutineer, and he was now on the independent label, Artemis Records. Having listened to Zevon's music for years, I was pretty nervous to interview him, but he made a "Spinal Tap" reference right before we got started and then all was fine. Like the album, the subject matter in our conversation would unknowingly foreshadow Zevon's passing in 2003, but it also offers the wisdom of a great artist, insight into his songs, a live performance of "Don't Let Us Get Sick," and of course, a lot of humor too. Today, on his birthday, we're celebrating Warren Zevon as one of our FUV Essentials, and you can hear this in-studio visit on FUV Live at 8 p.m. EST and anytime below.